Nowadays, technology has advanced so vastly that it has benefited everyone in the world. Home users would use modern day appliances to make their lives easier. Appliances like aircon, dishwashers, dryers, lights and the like are present in almost all households across the world. It is a normal thing to have these things in homes nowadays, but sometimes technology fails us and malfunctions. 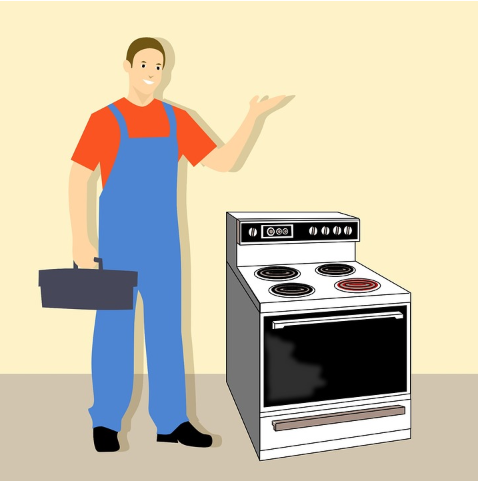 Problems arise with them over time or due to misuse and here are some of the easy ways to fix some common problems with these appliances with the help of a handyman. First, the dishwashers. The dishwashers are one of the most helpful tools when it comes to the chore of washing dishes. It is an easy to way to clean up the mess in the kitchen after eating and cooking. If you notice that the dishwasher is not cleaning the dishes well anymore or is getting slower, then the food filter may be the cause of the problem. If the food filter is clogged, then that would mean water would not be able to flow properly. Hence the dishes not being clean. Simply pulling out the lower rack of the dishwasher and removing the filter cover then wet vacuum the filter to get rid of any clogs. While checking on the filter, might as well check up on the float switch which you should flick up and down and if it is jammed then that would signal a problem, but if it can be switched up and down with ease then it is good to go. Next, the air conditioner. This is one of the best appliances ever made to make homes feel cool and breezy to save us from those hot summer days. Turning the aircon on and off again repeatedly may cause it to malfunction at some point. It would be because the fuse would blow or the circuit or air conditioner itself would just not respond. One reason of that problem may be because of the compressor. Also, the compressor of the aircon may have been stuck at high compression mode making it harder to start until the compression releases. One way to repair this problem is just to let the aircon rest for a little while before turning it back on. Newer models of aircons have addressed these problems by preventing the aircon from turning on for a few minutes or so. Another way to check if the fuse is broken is to test the fuse box located on the outer surface of the machine and call the electrician because that would mean a more technical problem. These are some of the easy fixes that you can do for these appliances when you occur problems with them. It is an easy fix which you would not need the help of a professional for because it would be more common sense than a professional opinion on the given problem. Although, anything larger than that would need the care and maintenance of a professional and you should not think twice about calling a trusted handyman Fremont CA for all your basic appliance or electrical repair needs.